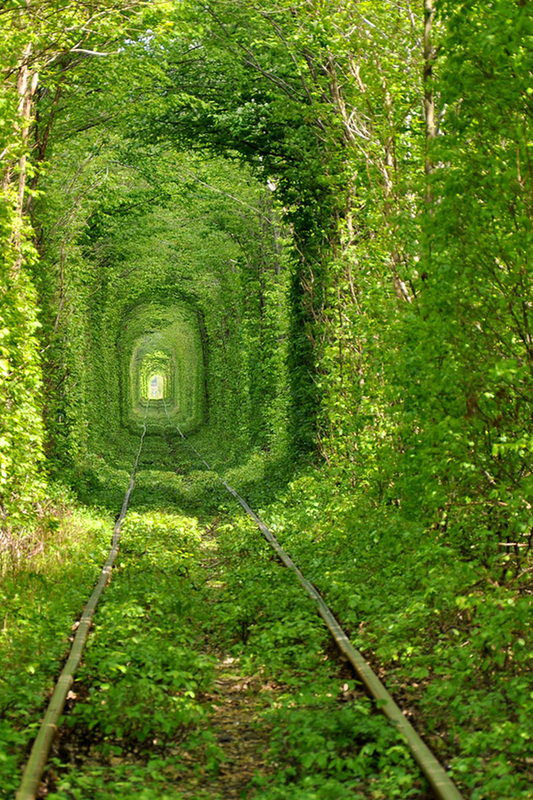 Tunnel of Love | Ooh, my favorite! 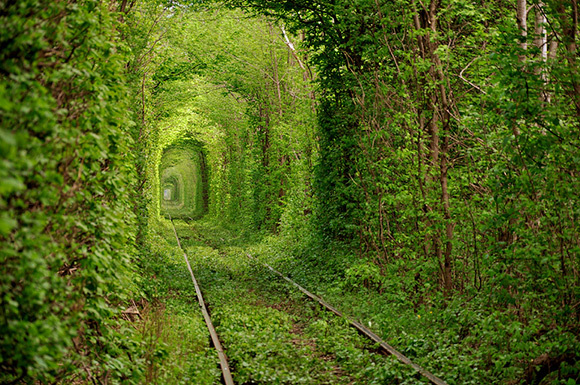 A lovely tunnel of trees lining a train track in Kleven, Ukraine (called the Tunnel of Love). I love how even the tracks are lined with a mossy carpet. I wonder how long it is. That is so cool, where do you go if a train comes? I guess it’s only for train passengers to enjoy. I wonder though, it looks like it’d be great for a stroll. Perhaps on the other side of the lines of trees? this is AMAZING! Is it still in use? Looks too green! It does look too green, doesn’t it. I believe it is still in use but I’m not quite sure. I’d like to believe it is at least! How magical. I love it.